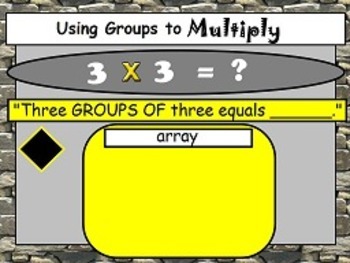 Multiplication: The x Symbol Means Groups Of OA.1 FLIPCHARTS and worksheets! 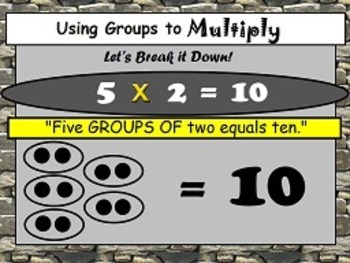 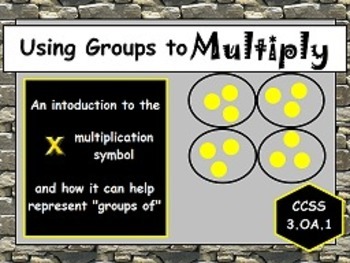 This packet was designed and put together to help the classroom teacher teach and practice the Common Core Standard: OA.1 "I know that in multiplication, the x symbol means groups of". 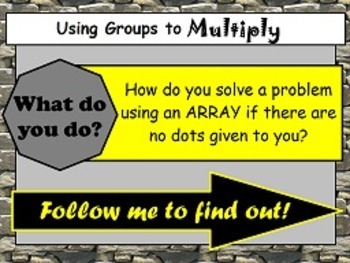 Flipchart 2: Covers the topic by using arrays to show "groups of"
The homework/practice pages are included in both word and pdf form for your convenience.